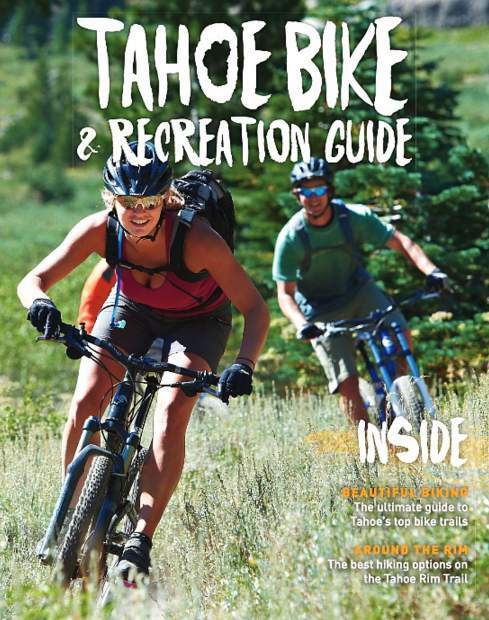 Just in time for spring and summer recreation season, the Tahoe Bike & Recreation Guide is on stands around Lake Tahoe. The guide — a product of the Tahoe Daily Tribune, Lake Tahoe Action and Sierra Nevada Media Group — replaces the Tahoe Bike Guide. The new bike and recreation guide includes the bike — both mountain and road biking — content readers expect, while expanding to include other popular outdoor activities, including hiking, rock climbing and trail running. Water sports and activities are not included in the guide. Readers soon will be able to pick up a copy of the summer edition of Tahoe Magazine — another Sierra Nevada Media Group publication — for content on water recreation, as well as much more. The guide is available in locations around Lake Tahoe, as well as at the Tahoe Daily Tribune office located at 3079 Harrison Ave., in South Lake Tahoe. The office is around the back of the building.